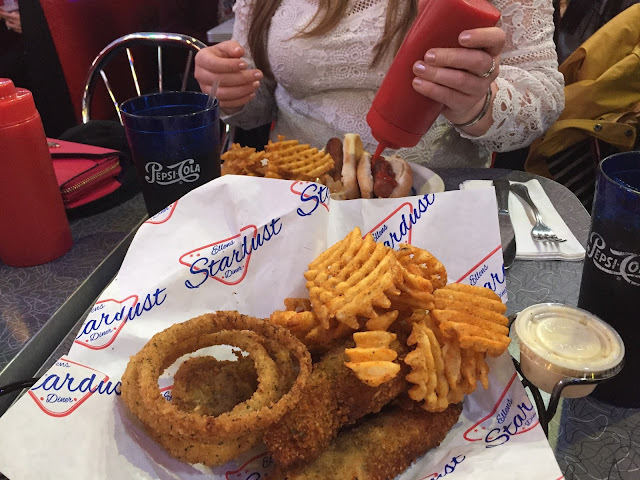 When looking up places to eat in New York City, Ellen's Stardust Diner features on almost every list. 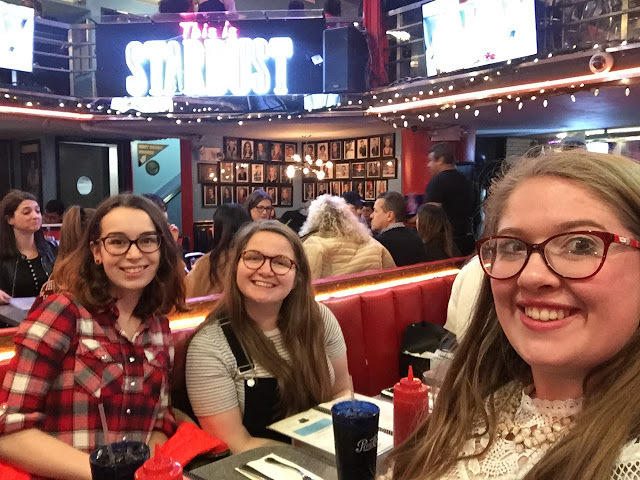 This diner located in Times Square is famous for its singing servers, who are all auditioning for roles on Broadway. I'd been quite hesitant to visit as I'd heard that the food isn't great and I wasn't sure if it would actually be fun or a bit gimmicky. But when two of my friends were visiting NYC at the end of January and wanted to visit - I thought it was about time I tried it out for myself. Ellen's Stardust Diner is located in Times Square at 1650 Broadway. It's a good location if you're right in the centre of New York and would be fantastic for those staying at hotels in the area. The B, C, D, E, F, N, R and W subway lines all run closeby too. We arrived around 6pm on a Saturday night so real prime time and waited around 40 minutes for a table. I don't think this is bad at all, it is not uncommon to wait at New York restaurants so it's actually a pretty short line for somewhere so famous. Although, do consider that larger groups will wait longer (we were a three). This diner is so much fun. All of the wait staff are aspiring Broadway stars and sing as they serve. The songs were a mix of musical songs or well-known ballads. Not only were they fantastic but they really interacted with the customers and it was a lot of fun. It was just a really good atmosphere! Considering how busy it was, we didn't feel rushed at all. We noticed that they generally repeated what they were doing every hour with certain announcements etc. They aren't always singing though. Sometimes they stop and play some music between songs but the staff definitely deserve a break. 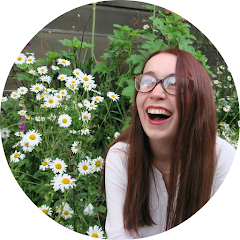 You can see some clips from my visit in this vlog. For my main, I decided to go for chicken tenders which were served with honey mustard, waffle fries and onion rings. The portion was a good size and the chicken tenders were huge. I wasn't able to finish it all. The waffle fries were delicious, so tasty and crunchy. The onion rings were thin and crispy. I was struggling by the time I got around to the tenders but the meat was fresh and the breadcrumbs had a delicious flavour to them. The menu features a lot of classic diner food: burgers, sandwiches, salads etc. Not particularly exciting but something to suit everyone. I went for the tenders because I was in a funny mood, not feeling great and just fancied something plain. I really enjoyed my food but it certainly isn't the best food I've ever had in NYC. But that being said, I don't think the food is the main attraction at Ellen's Stardust Diner. If I were to go back, I'd try their fish and chips or maybe a burger. To optimise our time in the restaurant we also ordered a dessert. I'd recommend going for at least 2 courses to get the maximum amount of time there. 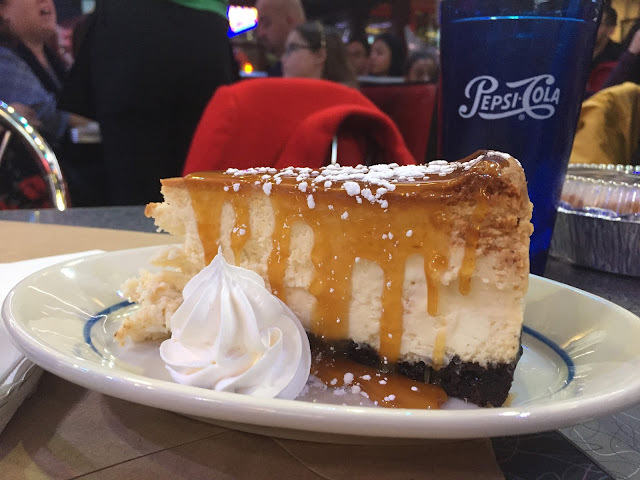 We ordered a salted caramel cheesecake to share between the three of us as at this point we were all really full. It was really good! Between the three of us, our bill (tip included) came to about $100 for mains, soft drinks and a shared dessert. This is very reasonably priced for New York and especially Times Square. I'd say that would be expensive for the same food at another diner but here you're really paying for the experience. They also come round with a bucket once an hour to collect additional tips. 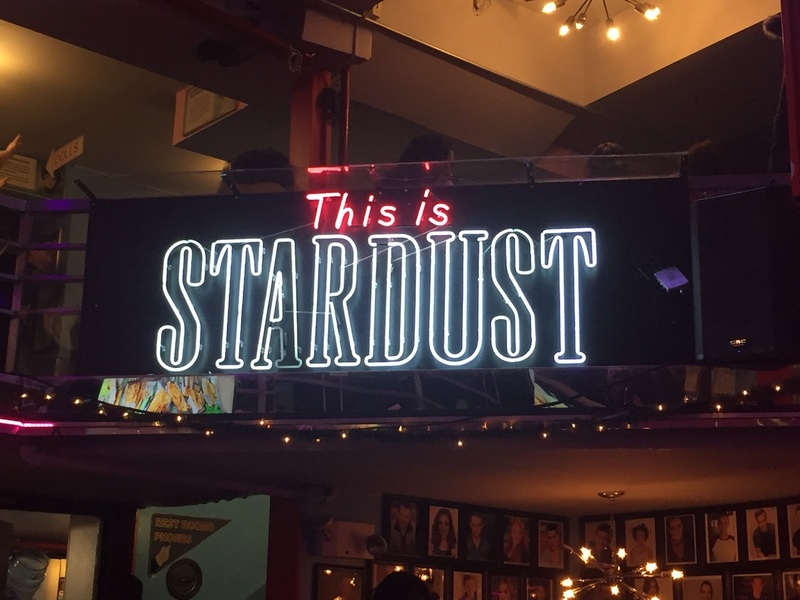 All in all, we loved our experience at Ellen's Stardust Diner and I would really recommend it. That being said, don't go here expecting the best food in the city and to be able to get a table without a wait.